Bow front has vinyl footprints bonded on to compliment the back map fabric. Perfect for any muggle with their mischief either managed, or totally out of control. Fabric is interfaced and sewn onto felt to make the bow, the bow front and back are sewn together, then the middle band is sewn around the whole thing, to make sure everything is nice and secure. Clips are inserted into the middle bow section, then glued on using a strong glue. 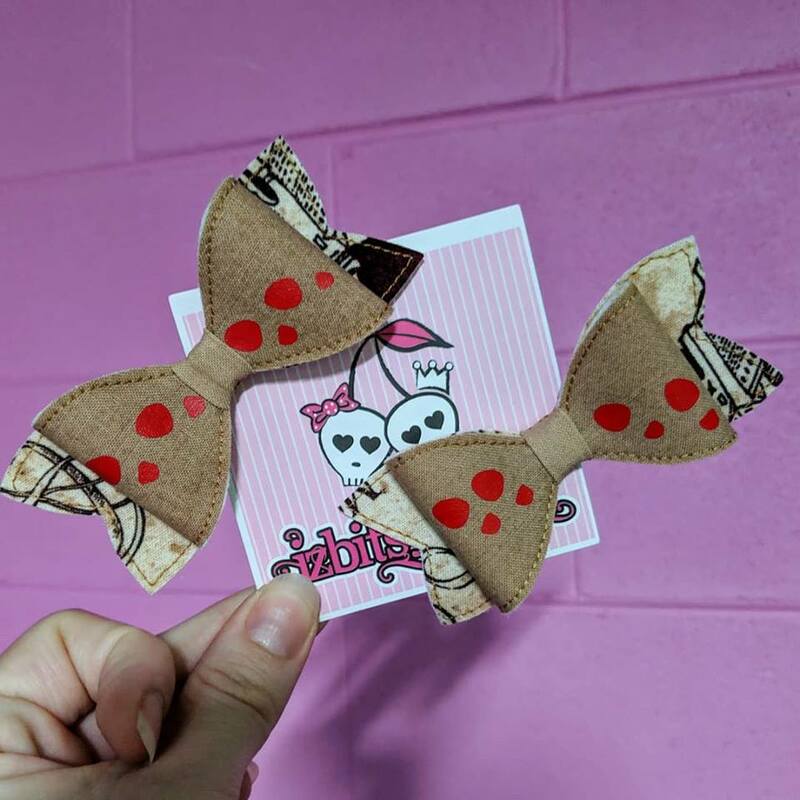 Each bow is handmade and from a different section of fabric, but I try and make sure there is a fun, obvious part of the design on each bow. Bows are made as securely as possible, but still not recomended for infants and children under three as Kids can choke on anything.